Since the last time I wrote about stem cells, several things of note have occurred. Among these was the announcement that the Japanese researcher Haruko Obokata has resigned from the RIKEN Center for Developmental Biology, because the finding from her paper (Obokata et al. (2014)) – that she could induce a stem cell state by treating differentiated cells with acid – could not be reproduced. 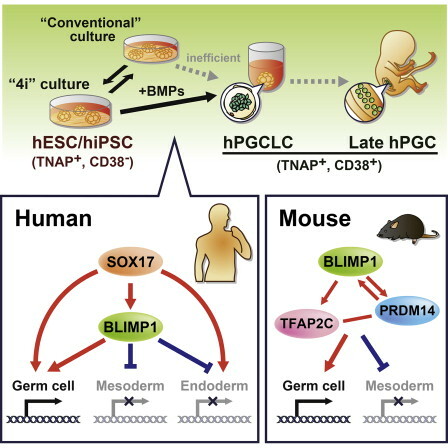 An investigation by the RIKEN Center has found that the supposedly reprogrammed cell cultures were likely contaminated by embryonic stem cell lines, but it is still unclear whether that was accidental or deliberate. The full text of Irie et al. can be viewed here as an open access text. And this is because the research and publication costs were covered by the Wellcome Trust, a “global charitable foundation dedicated to achieving extraordinary improvements in human and animal health”, which supports “public engagement, education and the application of research to improve health”. Many funding bodies, including the Wellcome Trust, are increasingly imposing the restriction that any of the research funded with their money must be published open access, including the sharing of raw data. As one would say in German, I wish you “a good slip into the New Year”! This entry was posted in Factual, Opinion and tagged biology, infertility treatment, Open Access, Science, stem cells, Translational Medicine by Victoria Wang. Bookmark the permalink.